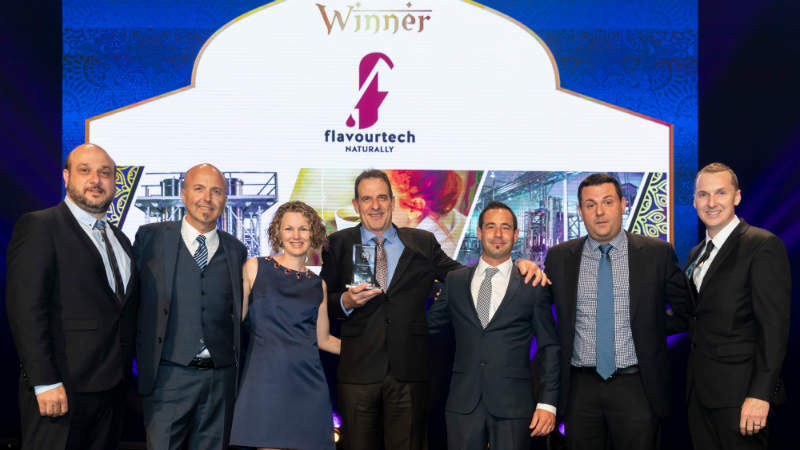 Flavourtech was a finalist in the manufacturing category of the awards, which were announced at an Indian-themed gala dinner in Sydney on the 24 October. The dinner was attended by CEO of the Export Council of Australia (ECA) Alina Bain and New South Wales’ (NSW) Premier Gladys Berejiklian, who gave a keynote address. The Premier’s Export Awards acknowledge the achievements exporters make to improve NSW’s economic activity and boost jobs. It recognises their hard work and determination to succeed. The company has assisted customers around the world to produce high-quality products for more than 30 years and continues to develop better processes to benefit its customers and help them produce market leading products. Flavourtech is proud to receive this prestigious award for a second time and acknowledges the entire team’s hard work, effort and dedication.